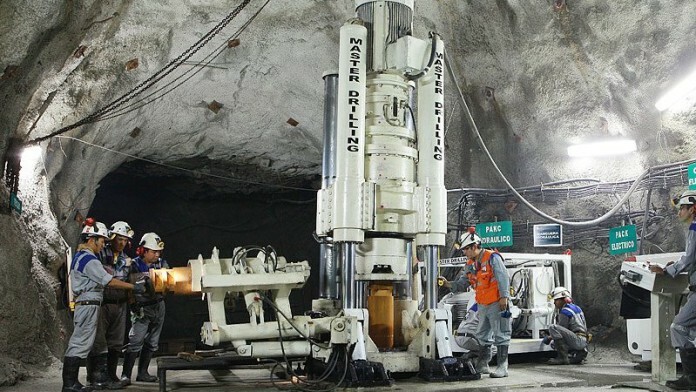 MASTER Drilling kept the dividend unchanged at 26 South African cents per share, and said it was “cautiously optimistic” about trading conditions this year in the mining industry which had been hit previously by commodity price volatility and trade tariffs. The company, which builds and operates drills under contract, posted weaker earnings year on year. In US dollar terms, share earnings were 7.8% lower at some 10.7 cents/share, but better in rand terms, only 3.9% lower. Net cash generation declined to $25.8m for the year whilst net debt increased to about $40m from $33m in the previous financial year. However, the order book stood at $203.6m and there was “a healthy pipeline” of $578.6m which CEO, Danie Pretorius, said would stand the company in good stead. “Although not immediately reflecting in our numbers, we do expect a positive impact on our revenue during the next reporting period,” he said in commentary to the firm’s full-year results announcement issued to the Johannesburg Stock Exchange. “With volatility and uncertainty likely to prevail in global markets in the foreseeable future, we remain cautiously optimistic that the resolution, or the minimisation of geopolitical factors as well as a measured, rather than significant slowdown in the global economy will create a favourable operating environment in 2019,” he said. 2018 represented a period of intense investment for Master Drilling. In November, it signed a joint venture with Ghella SpA, an Italian construction company specialising in infrastructure which followed a September transaction in which it bought Atlantis Group, a South African mining contracting company, for R107.5m. That transaction augmented Master Drilling’s “… pool of skills and expertise” in India, Brazil and Zambia, it said. It also bought the balance of Bergteamet Raiseboring Europe for R100m, a business in which it already had a beachhead. Pretorius said in an interview that the company was “on the lookout” for other acquisitions were they to appear. However, an important strategic thrust for the company was to remain alive to the increasing momentum of technical innovation, described by Pretorius as “disruptive”, and “unbelieveably fast”. One response the company has made was the launch in the previous financial year of its mobile tunnel borer which is currently being delivered to South Africa following construction and testing overseas. The technology will be piloted in joint venture with Northam Platinum, said Pretorius. It is also testing a Blind Shaft Tunnel Boring technology whilst a rig is also being operated remotely more than three kilometres underground. Regionally, Master Drilling noted a decline in overall revenue from Africa, largely as a result of its Kibali contract with AngloGold Ashanti and Barrick Gold in the Democratic Republic of Congo. However, the company had picked up some new Ghana business. In reference to South Africa, Pretorius said the gazette of a redrafted Mining Charter had been a positive development but it would require a “concerted effort” involving the mining sector, labour and government.